Mini limited-edition all about shadow trio layers for eye-catching dimension. Pretty easy liquid eyelining pen creates a clean line in one steady sweep. Paints on pure, deep color from thin to thick. High impact mascara kicks up the volume and length of each and every lash. 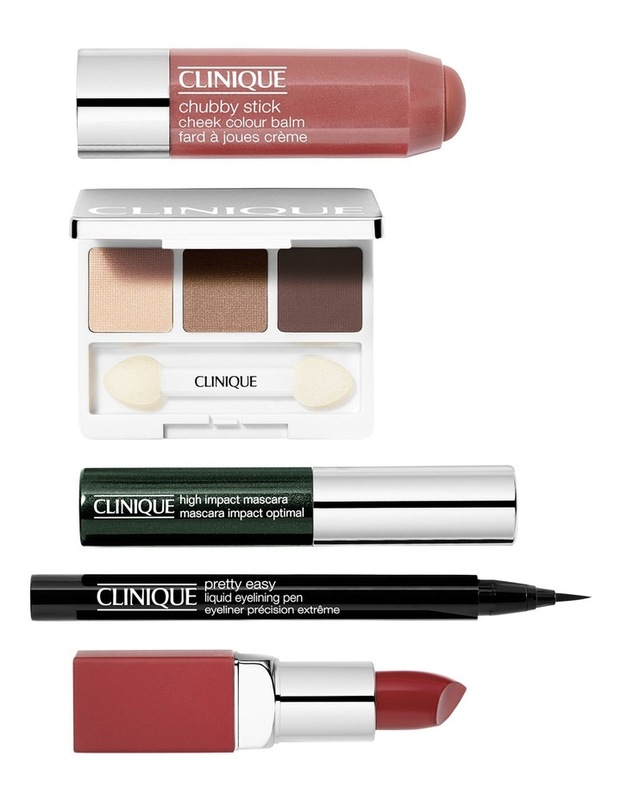 Oil-free chubby stick cheek colour balm creates a healthy-looking glow in an instant. Creamy, mistake-proof. 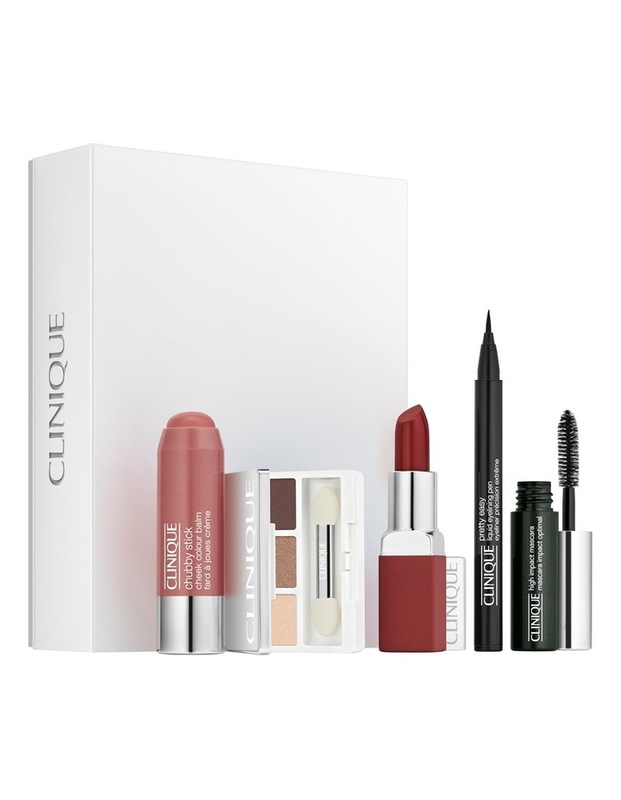 Finish the look with pigment-saturated clinique pop matte lip colour primer for bold color and creamy-matte comfort.